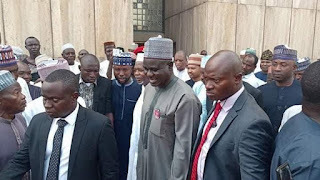 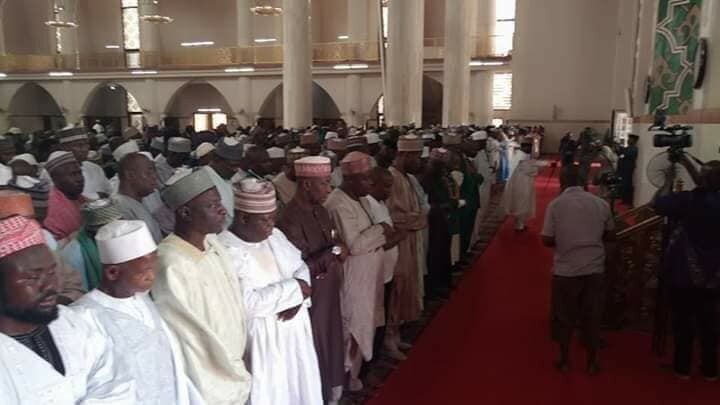 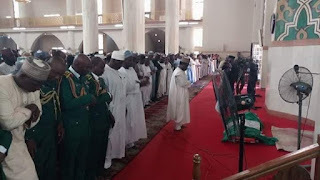 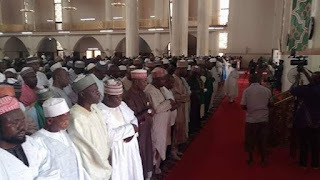 Remains of Major General Idris Alkali buried in Abuja - SWANKYLOADED OFFICIAL BLOG. 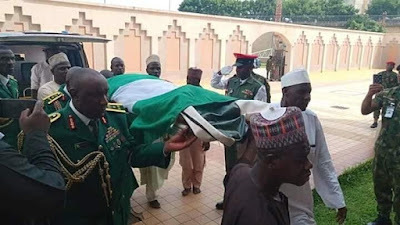 The remains of Retired Major-General Idris Alkali that was found in a mining village, Guchwet in Shen of Jos South LGA of Plateau State last Wednesday October 31st, was interred in Abuja today Saturday, November 3rd. 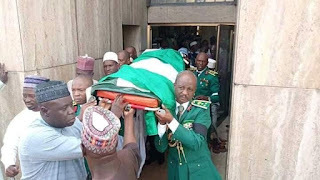 A former Chief of Administration of the Nigerian Army, Alkali went missing on September 4th while traveling from Abuja to Bauchi en route Jos. After serious investigation, the vehicle he was traveling in was found inside a pond in Jos last month and his body was discovered inside an abandoned well last Wednesday.